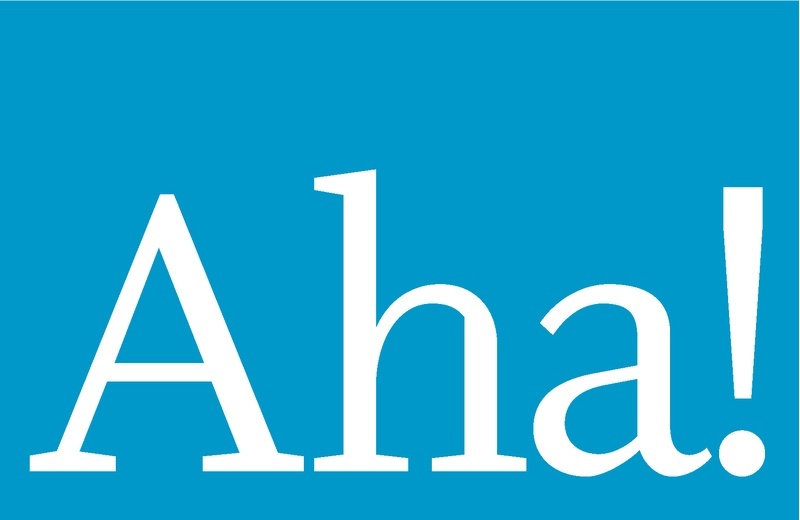 You still have time to submit your idea for the excellent Sappi Ideas that Matter grant, due next Friday, July 15th. 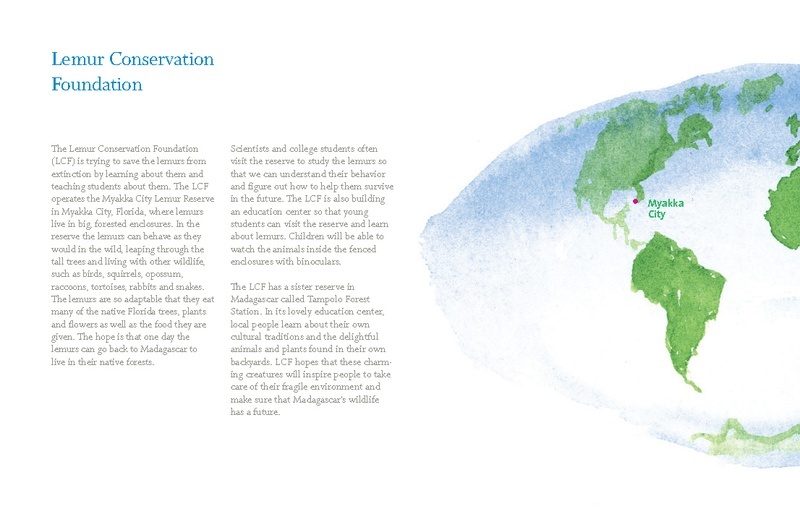 Sappi's 17-year-old grant program produces great things, and C&G Partners is proud to be a past winner. 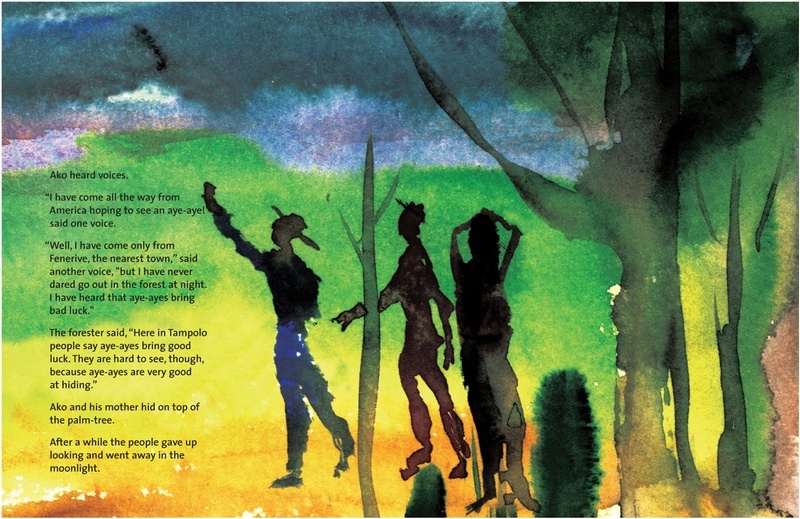 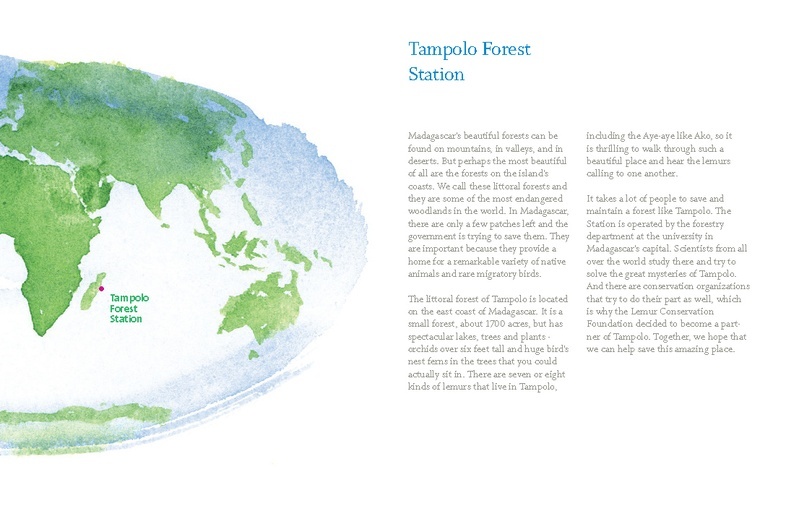 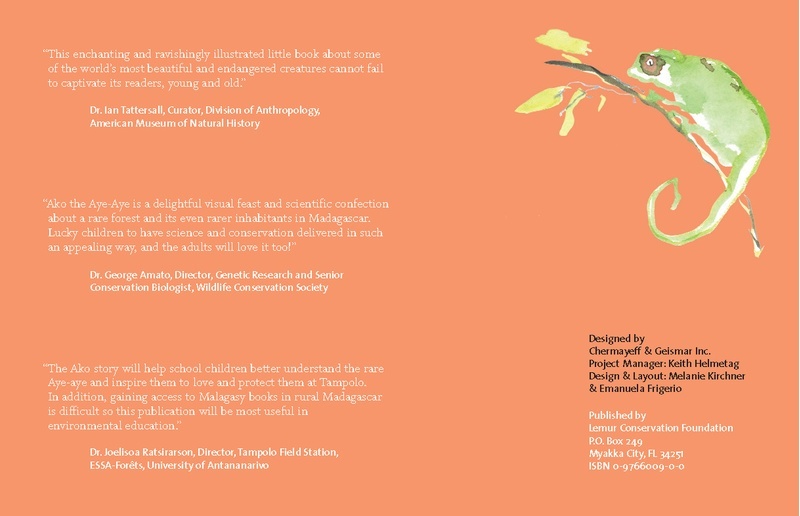 For this Ideas That Matter season, we're posting images of the entire book we made with our past grant. 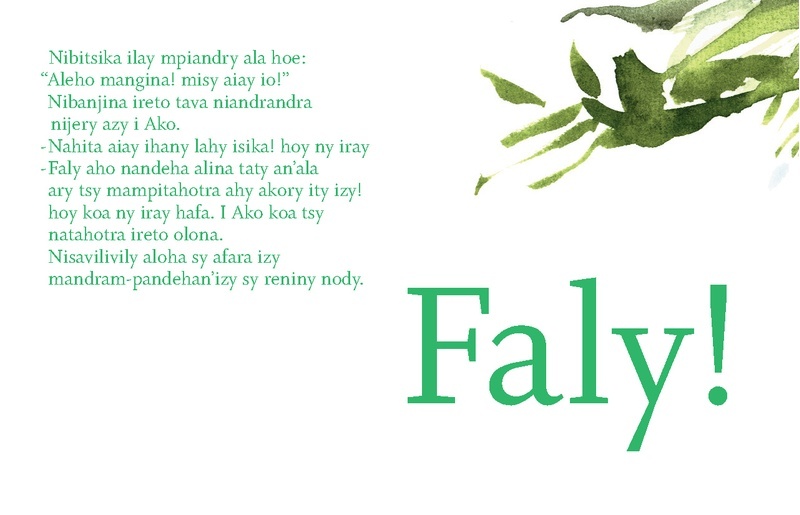 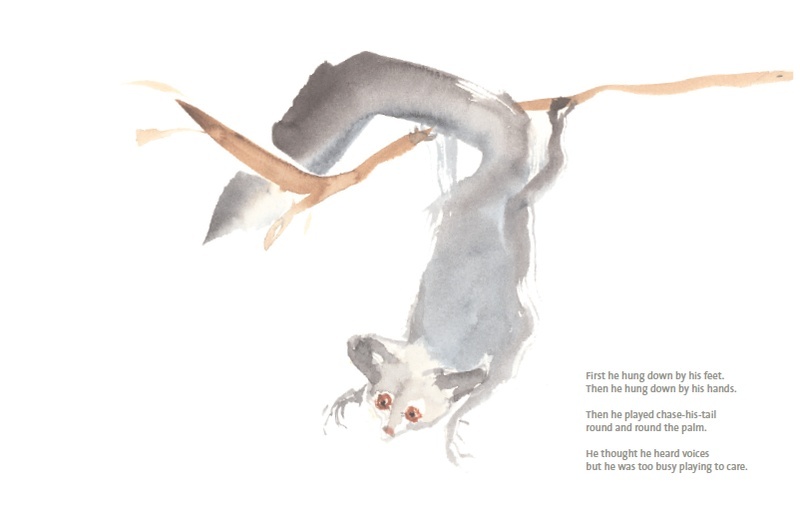 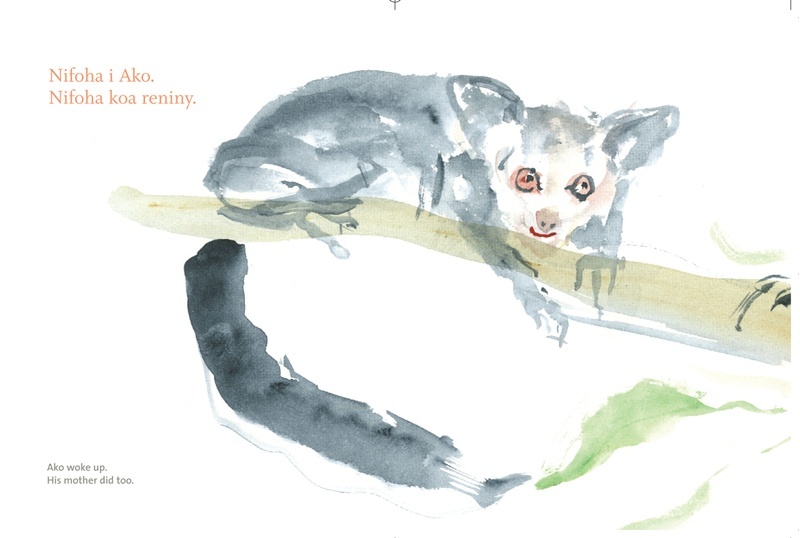 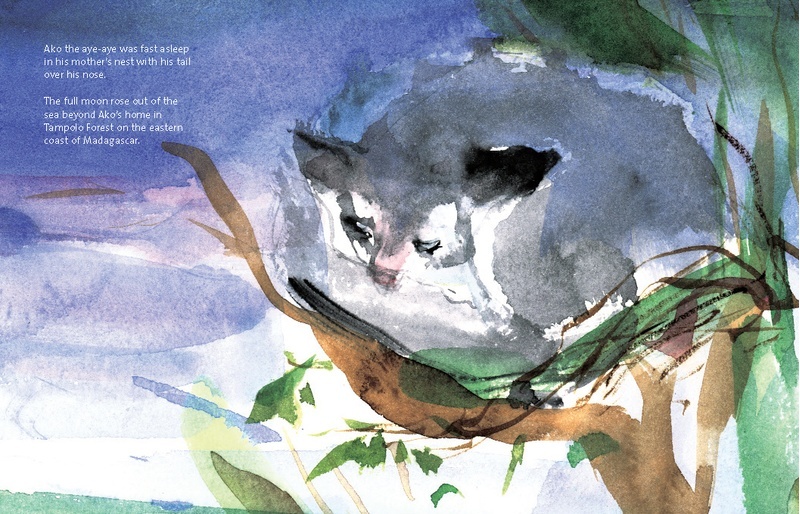 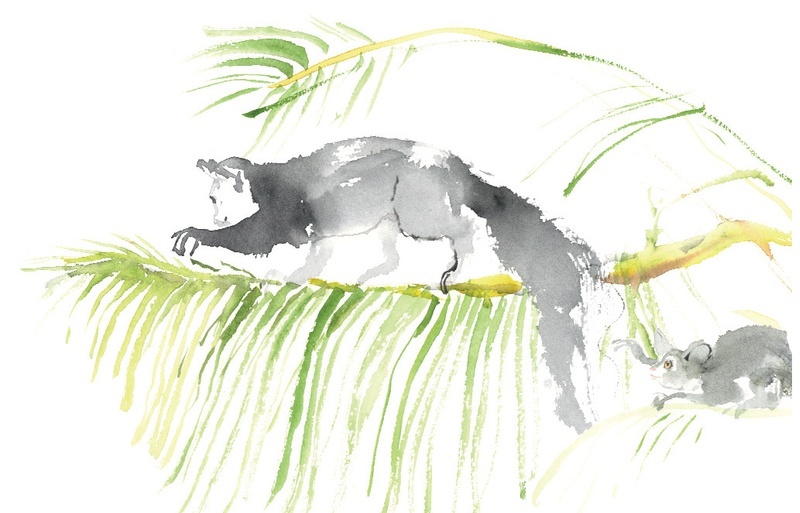 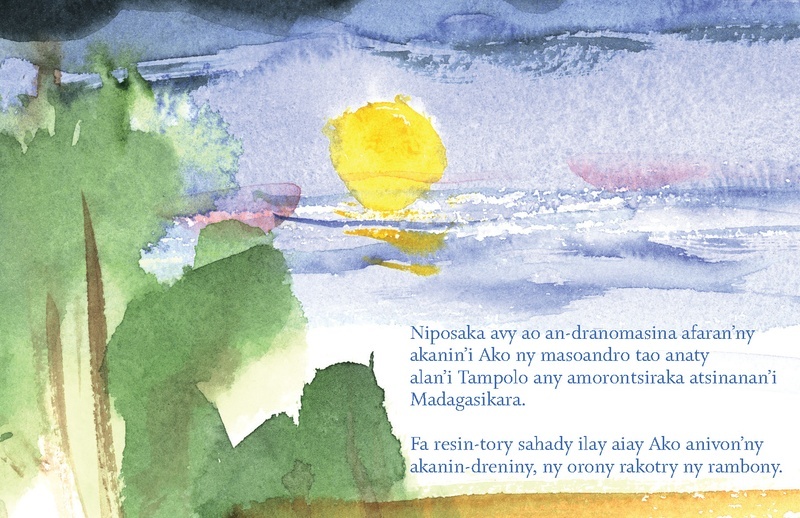 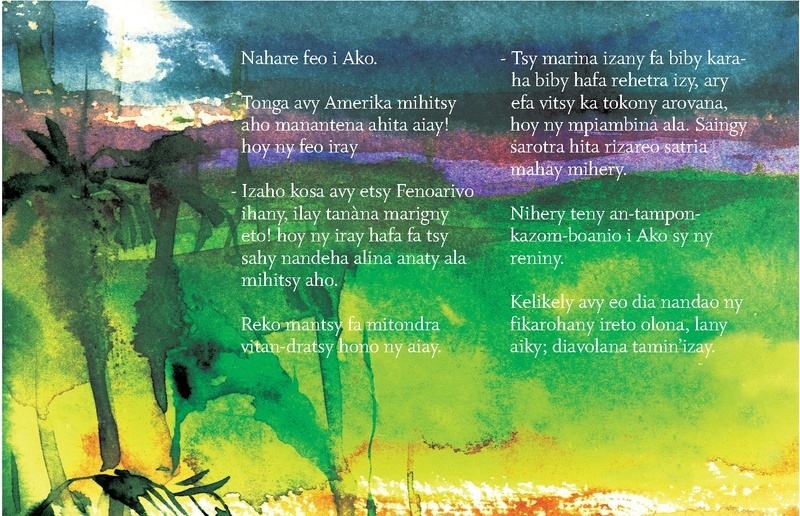 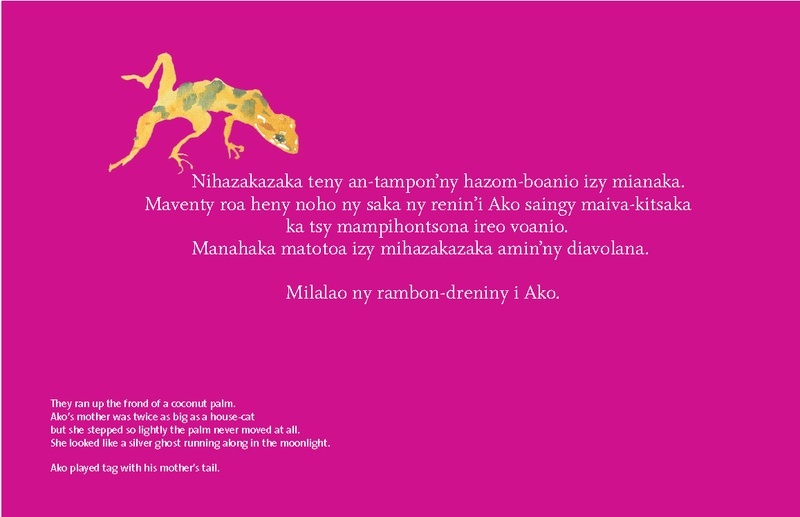 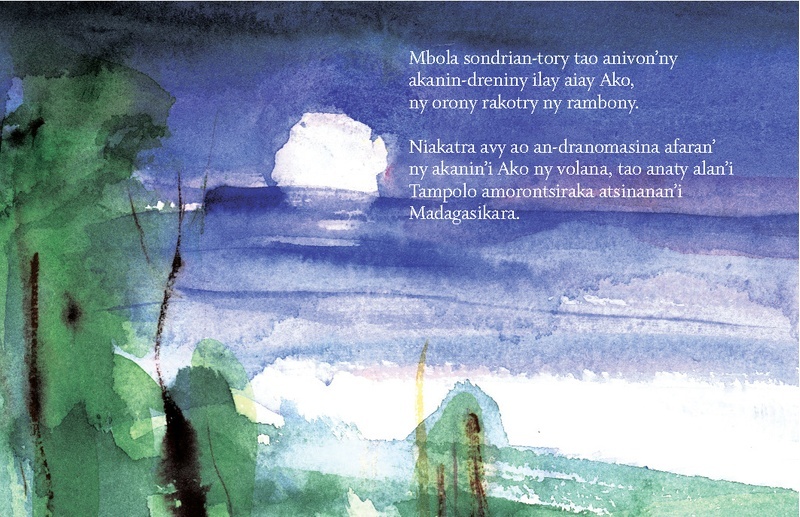 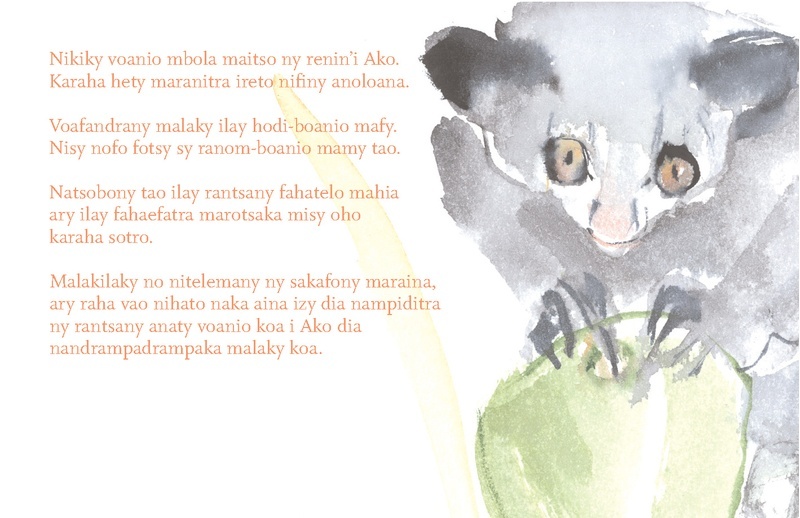 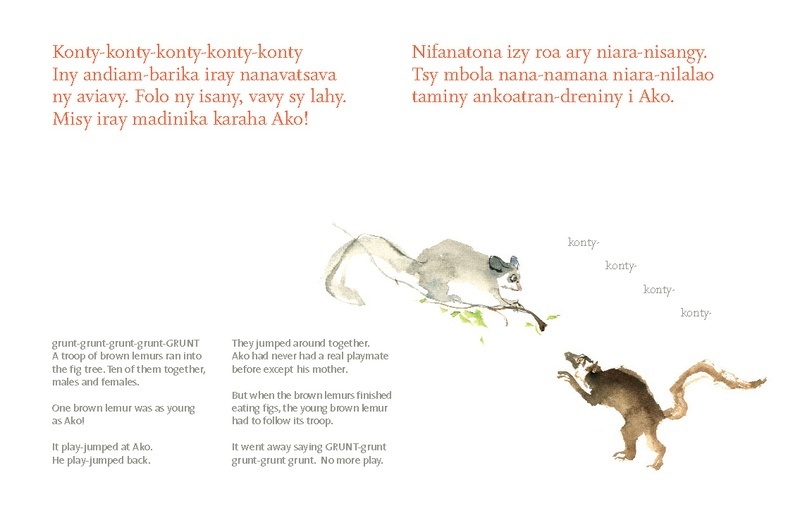 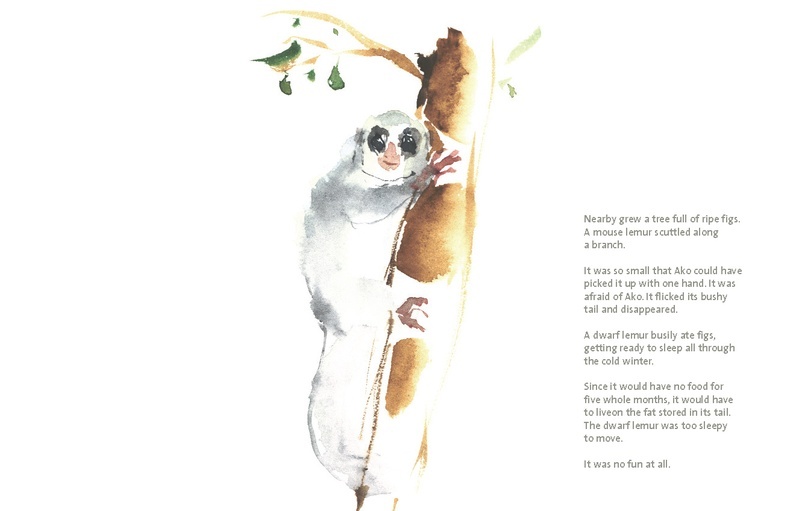 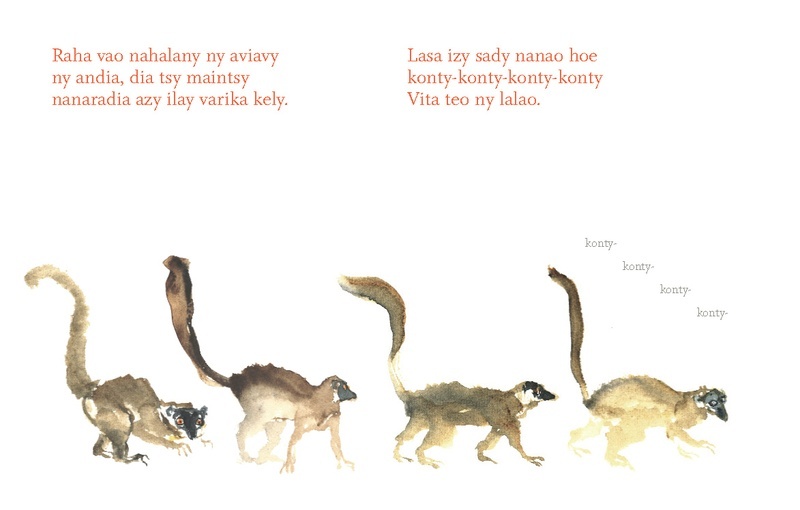 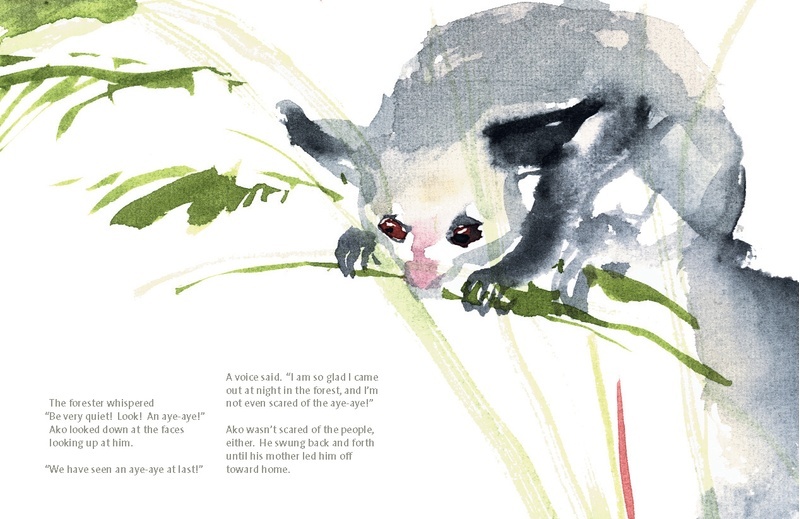 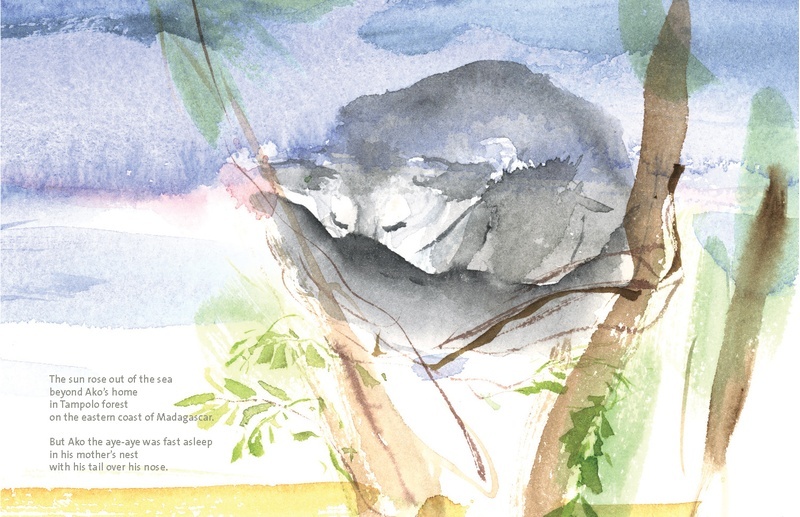 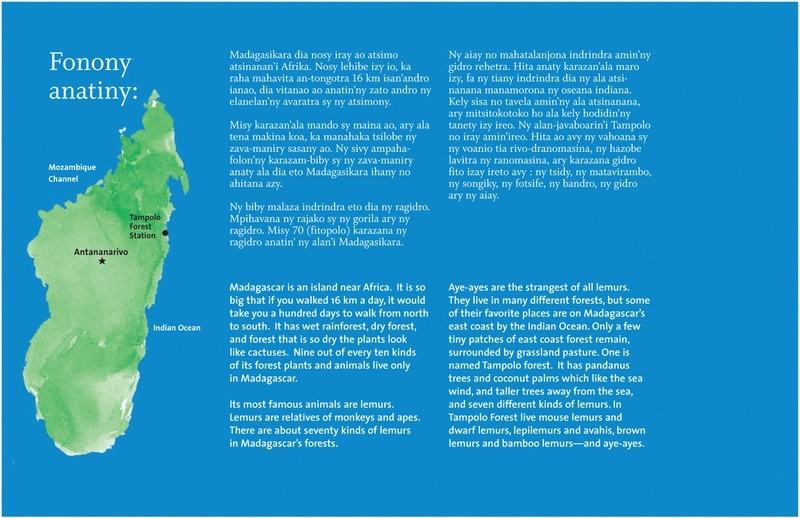 Working with America's leading wildlife artist Deborah Ross and writer Alison Jolly, we created a bilingual (English and Malagasy) illustrated children's book to increase lemur awareness and literacy in both Madagascar and abroad. 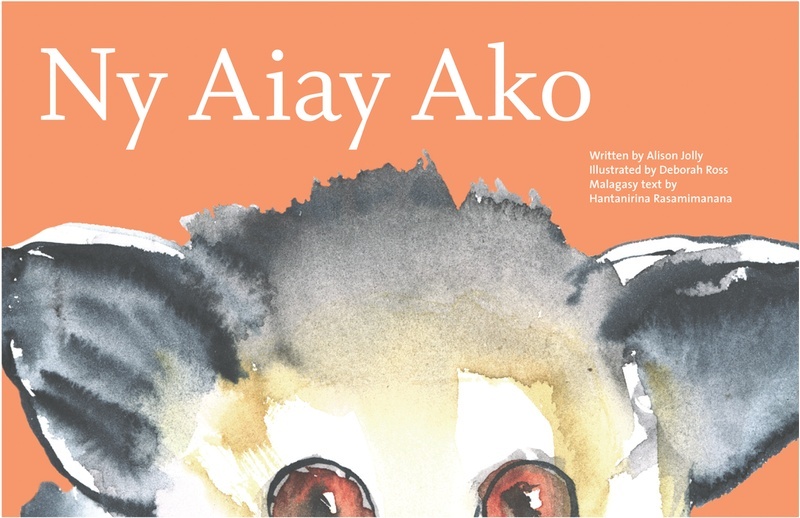 The folktale Ny Aiay Ako (Ako the Aye-Aye), follows a juvenile aye-aye (a type of lemur) named Ako living in a Madagascar forest. 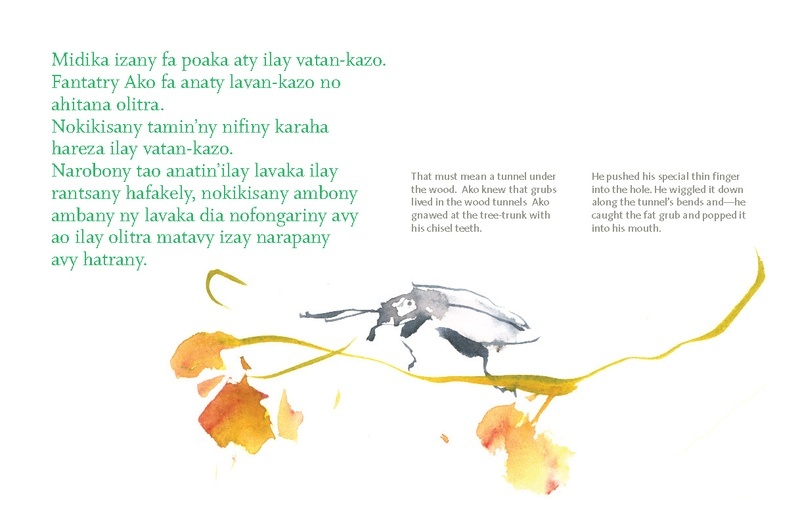 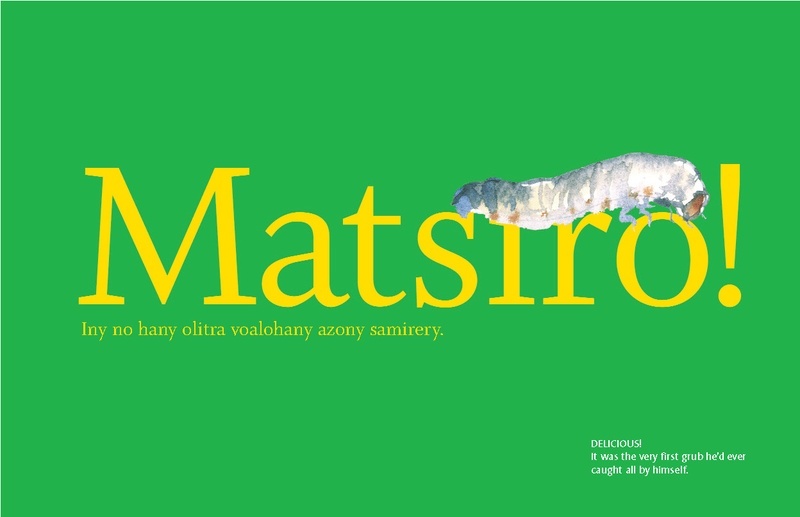 The 2005 edition of the book, conceived and designed at our predecessor firm, was so successful that UNICEF created a second special grant for a follow-up version of an additional 300,000 copies, to be distributed to every reading age student on the entire island nation. 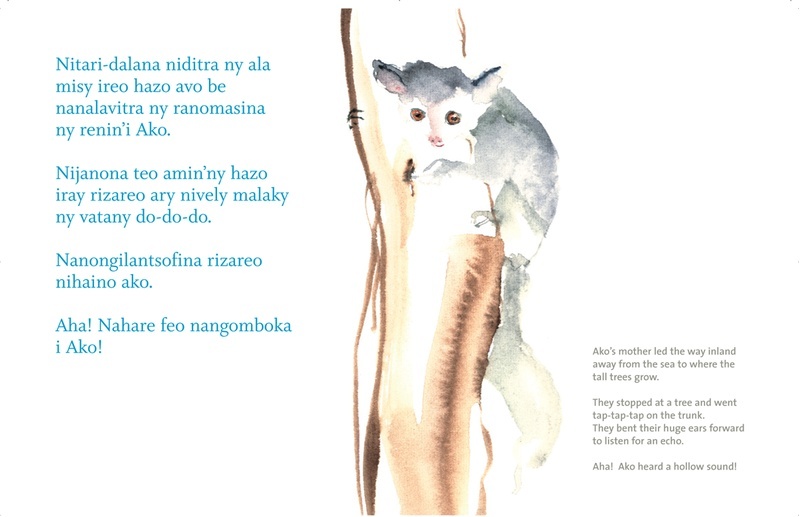 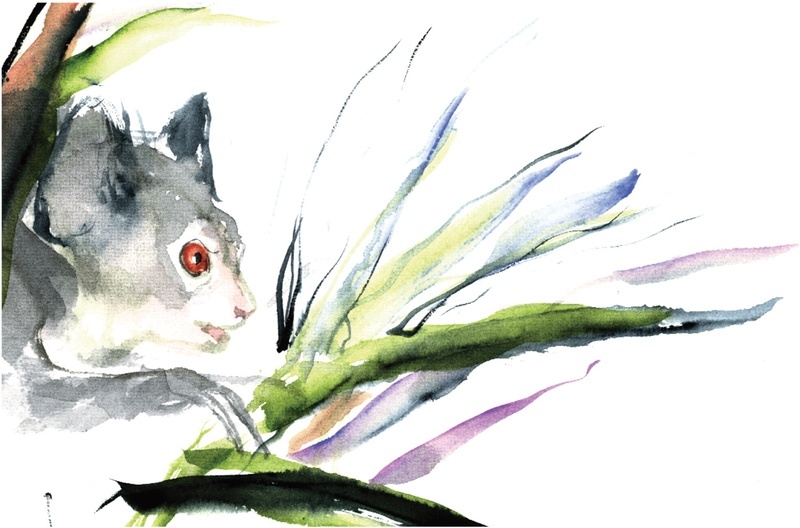 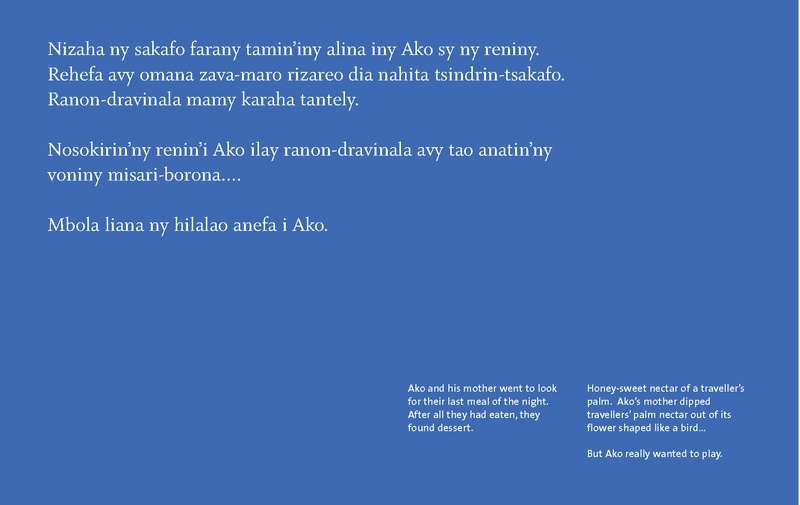 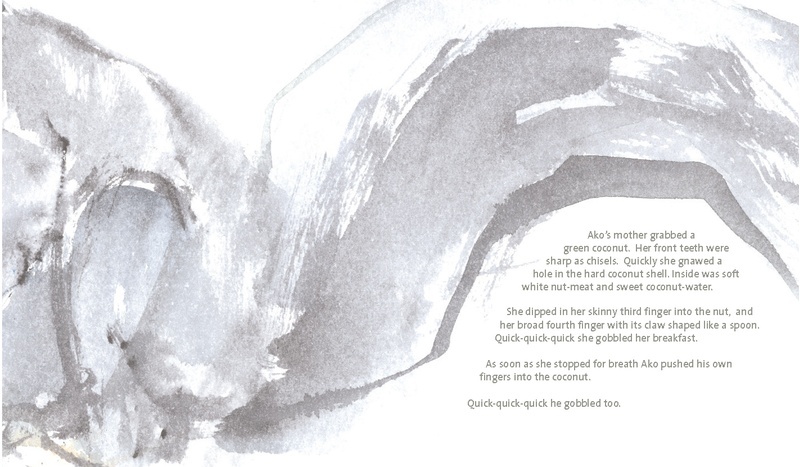 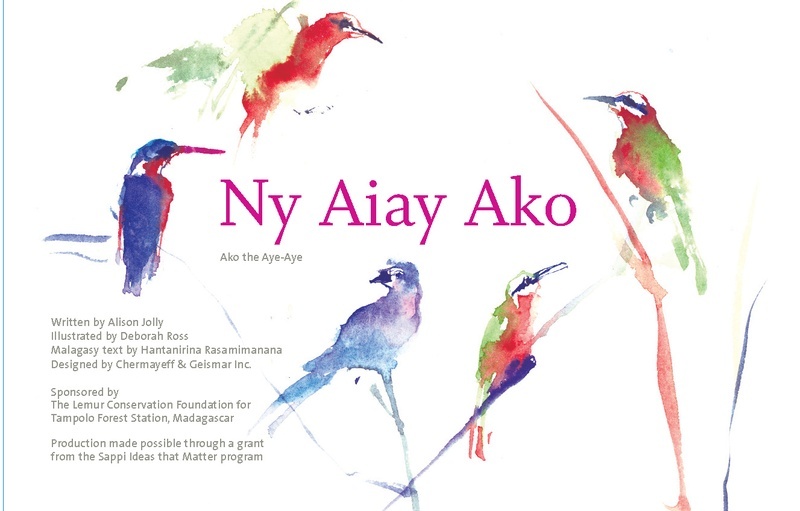 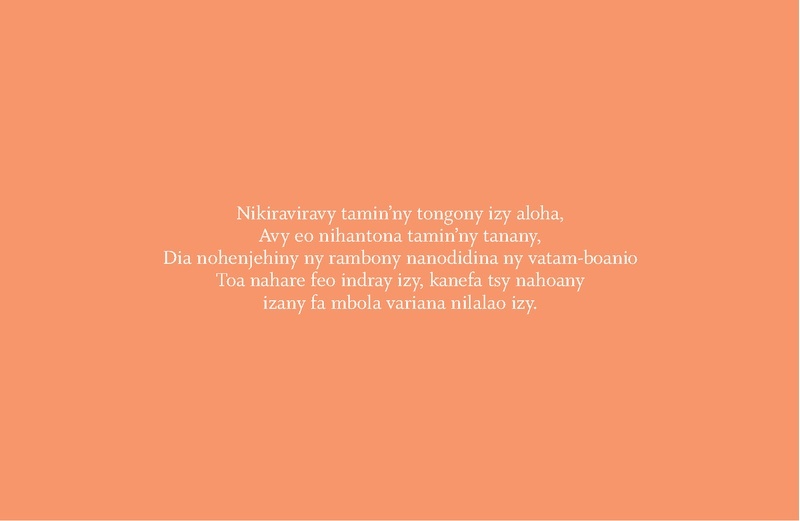 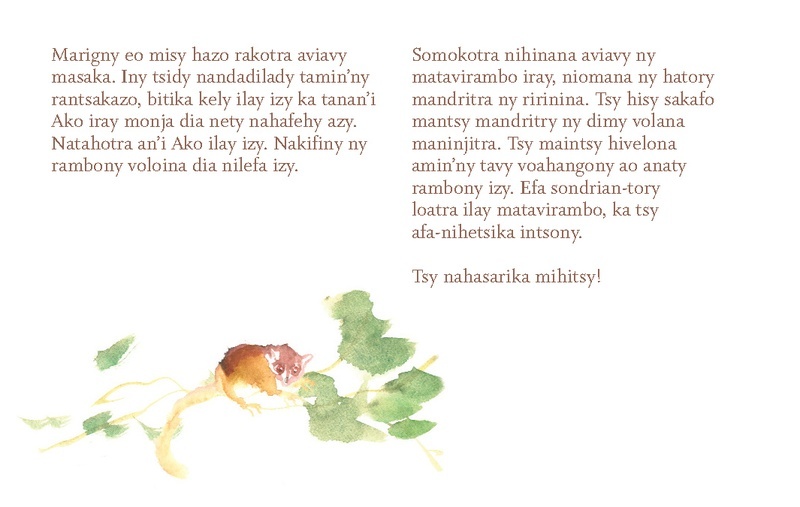 Enjoy this post (our longest ever) of our entire illustrated book "Ako the Aye-Aye".